These have arrived just in time for the event this weekend. Motion Control Shocks, single adjustable. Thank You AR Automotive Service! caged/safety prepped, MCS 850#/450#, Eibach bars, 9" 6ul's/245 Hoosiers, Willwood bbk+ducts, BEGI garrett 2860, sgdp, 3" exhaust, reflash ecu. I've heard great things about these. What spring rates are you aiming for? I'm working that out now. I like the 900/500 for dry track driving, but most of my early events are in the rain. I've never run that higher than a Spec miata rate(700/325) in a rain race. There is a local track day this Sun... and it's going to rain. If I can get the car together and aligned, it might be a good time to test. Your signature keeps getting longer... I bet your car is running strong! I tried them out this weekend at Oregon Raceway Park, a very tight, busy track with medium speed corners and elevation changes. I used an 850/400 rate while using Eibach bars. This worked flawless right out of the box. I'd highly recommend these shocks. I looked them up on the MCS website. Sounded really good until I saw the PRICE! WOW. Not in my budget. You are very serious about your car. Good luck with them. No Mods Yet! Still doing my homework! Don't have my AARP card yet, but I'm eligible! Still have the need for SPEED! I had a chance to run this weekend at Oregon Raceway Park. 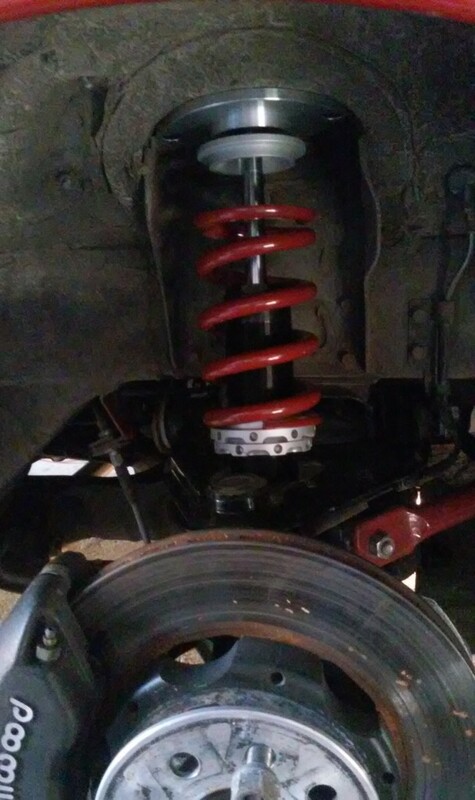 The shocks performed nicely! I paired up with a fellow from Tacoma who ran a supercharged miata fitted with Ohlins. It surprised me at how much faster you can push yourself when you're confident about your equipment! In particular, I was impressed at how much more firmly the car stayed planted when unweighted and turning in at the crest of a hill. Good to hear. ORP is a great, fun, technical track. Which direction did you run it in? Yes, it was CCW. The next race will be April 16-17 @ PIR with SCCA. Hopefully, it'll be a rain race and I can fine tune at a little slower speeds. I'll find out this Sunday when I do my first race at NJMP Thunderbolt. I'll probably be too nervous to push my car super hard, but my XIDA with 700/400 feel great to me. I remember looking up the MCS and they were a bunch more than XIDAs. Is that still the case? Congrats on the shocks, it looks like you've made a great investment. It takes quite a commitment to lay down truly big bucks for some silly little sliding tubes full of hydraulic fluid, but once a car has been developed to the point where it is a stable and sort of fast platform, shocks are where the most speed lies.